This line includes all customized items produced on customers’ demand. The client is the owner of the equipment, which is also made by FM and is left on consignment in our mould warehouse:they are preserved after each production, to be used whenever the customer makes a restock. WIDE KNOWLEDGE OF THE MARKET TECHNOPOLYMERS: thanks to the relationship with suppliers, research centers and universities, our market knowledge of polymers sweeps at 360°, in order to offer the best value-for-money based on the needs expressed by the customers. Besides, thanks to these partnerships, we can conceive new formulas of materials specifically for the application required.We are also able to provide specific compliant materials such as: UL, RoHS, REACH, FDA. METAL-REPLACEMENT: replacing metals with polymers after a proper structural and design assessment in order to optimize: lightness, strength, cost and shelf life of the end product. In addition, the metal-replacement speeds up, after a careful study, the assembly time with a significant cost reduction, improving the appearence and achieving a product with lower environmental impact (increased recycling and elimination of the use of paints for coloring). 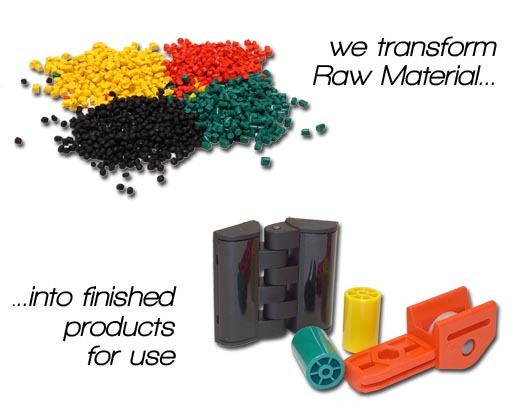 BI-MATERIALS :Using two different plastic materials or co-moulded metal inserts, in order to take advantage of both metal characteristics (where necessary), together with polymer’s ones, to achieve the best end result. – Assembling: supply of semi-finished parts assembled with purchasing components and / or supplied in “work- on-account” (gaskets, screws, electronic cards, metal inserts, bearings, etc. – Finishes (surface): galvanization, painting, embossing etc. – Graphic details: pad and screen printing, foil stamping, etc..